“Clean Touch” is the debut 7-inch by Very Fresh, but bandleader Cindy Lou Gooden is already a familiar player. 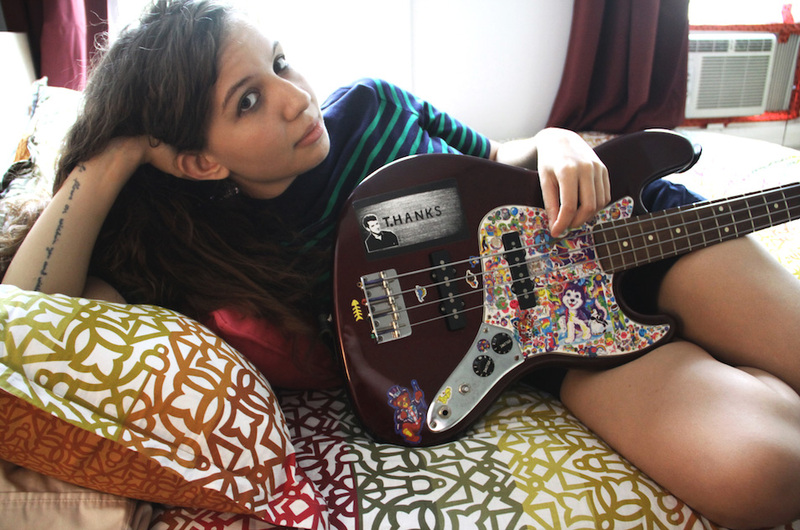 She plays bass Railings, guests with Ava Luna, and used to accompany Speedy Ortiz’s Sadie Dupuis in the Pavement cover act, Babement. Now, she’s the one flanked by noted musicians, since Very Fresh includes Leapling drummer Alejandro Salazar Dyer and guitarist Ben Scherer, previously of Palehoud. And Ava Luna’s Julian Fader and Carlos Hernandez recorded Gooden’s latest material as principal songwriter since returning to New York after a two-year break from music, due next month via Los Angeles label New Professor Music. It’s a confident return. 7-inches exist for songs like “Clean Touch”, a compact rock statement with a spare backbeat and quietly menacing, palm-muted guitars that foreground Gooden’s tangled phrasing. Teeming with imagery and dynamic delivery, Gooden enunciates “weapons” like the sound of a cracking whip. Elsewhere, she wields mighty sustain, elongating a mention of “cold brew” as if to underscore what a jarringly contemporary reference it is. In proper classicist indie-rock form, the chorus erupts the last time through, which stands in contrast to the ruminative flip, “Pale Lips”.